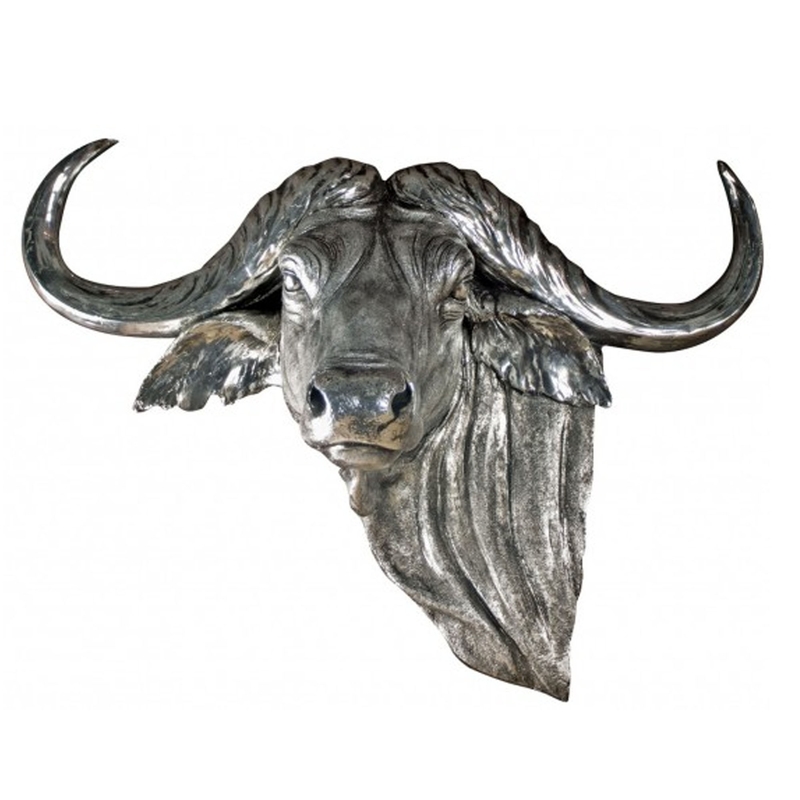 This is a magnificent wall head hanging of a Bison named 'Benjamin'. It's got a stunning distressed silver colour that's sure to stand out and amaze. It's very unique, making it perfect for an original and modern home. It's sure to give the illusion of a bigger, more complete home.